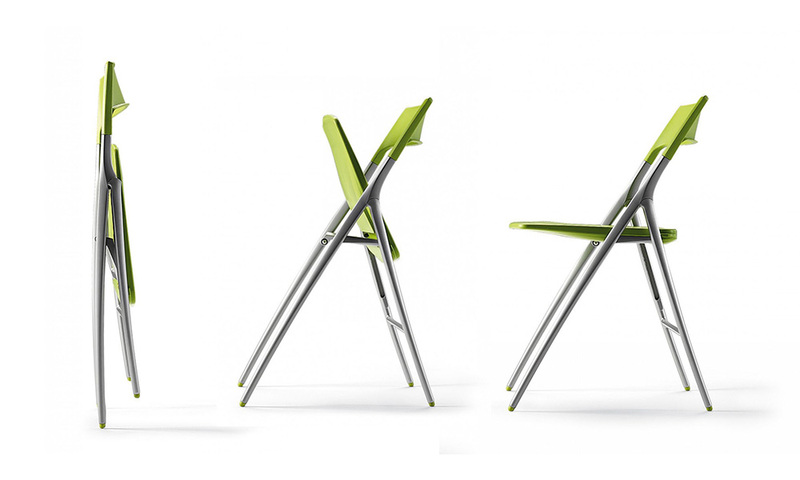 Plek reinvents the classic concept of folding furniture. 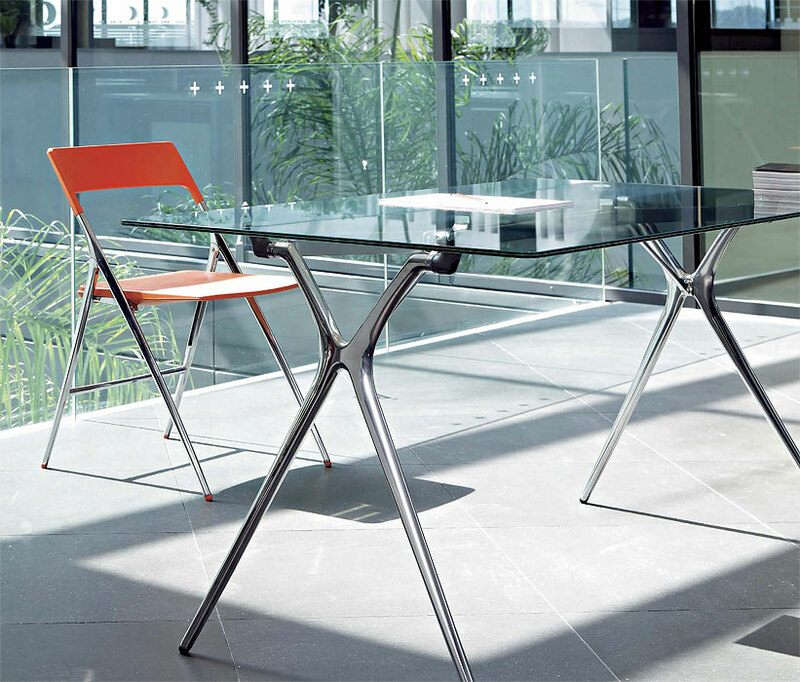 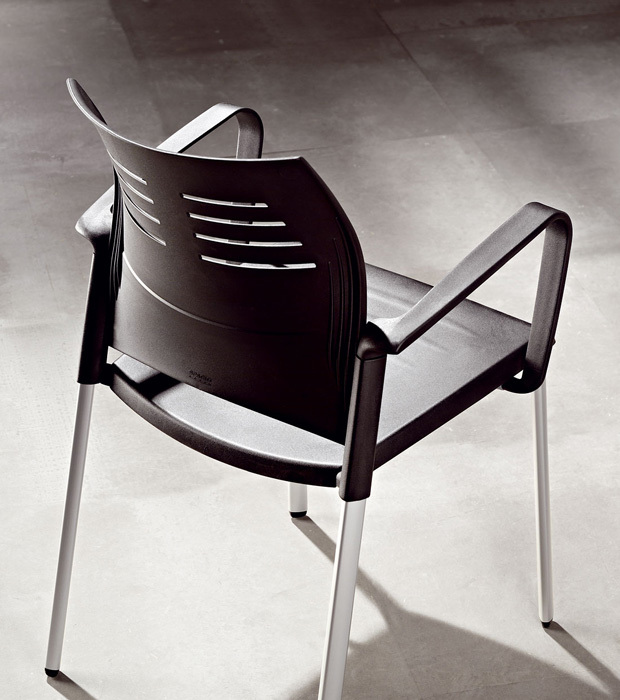 The chair has individual flair with sleek continuous lines. 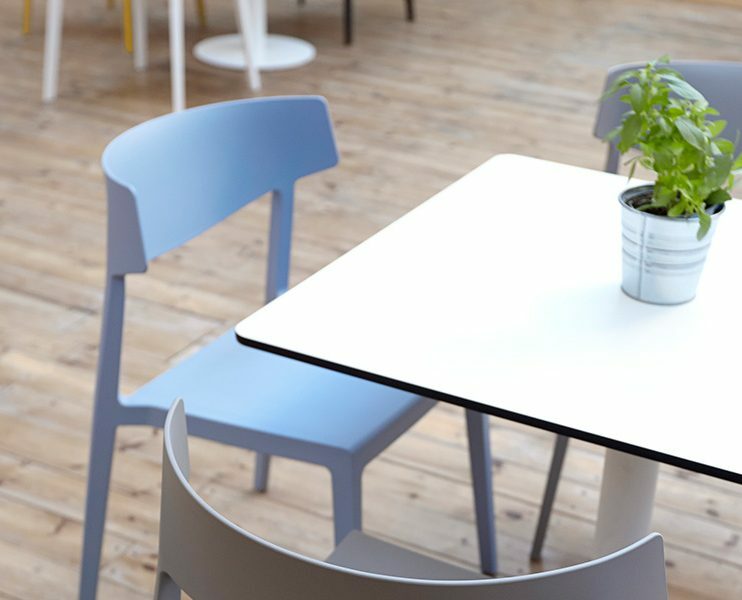 A simple but clever solution to optimize functionality in spaces where a degree of flexibility is required. 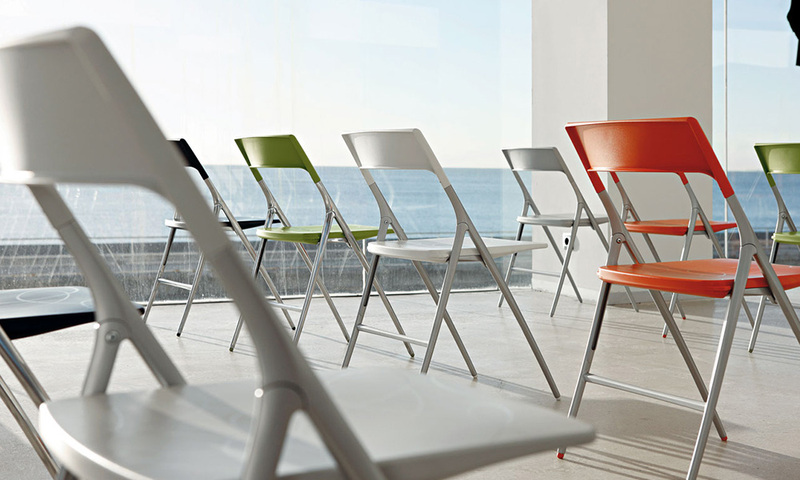 By combining different materials and textures for an edgier look, the Plek chair is ideal for use in many meeting, breakout or visitor areas. 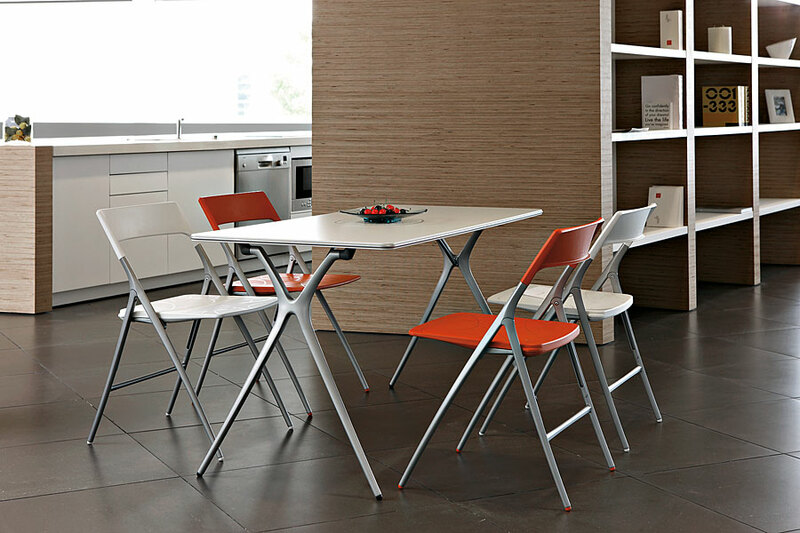 A specially designed trolley is available to make movement of these chairs easy and functional. 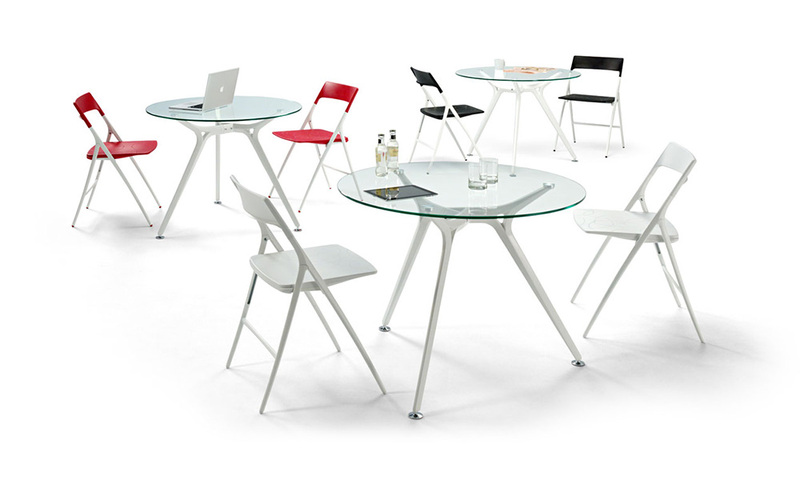 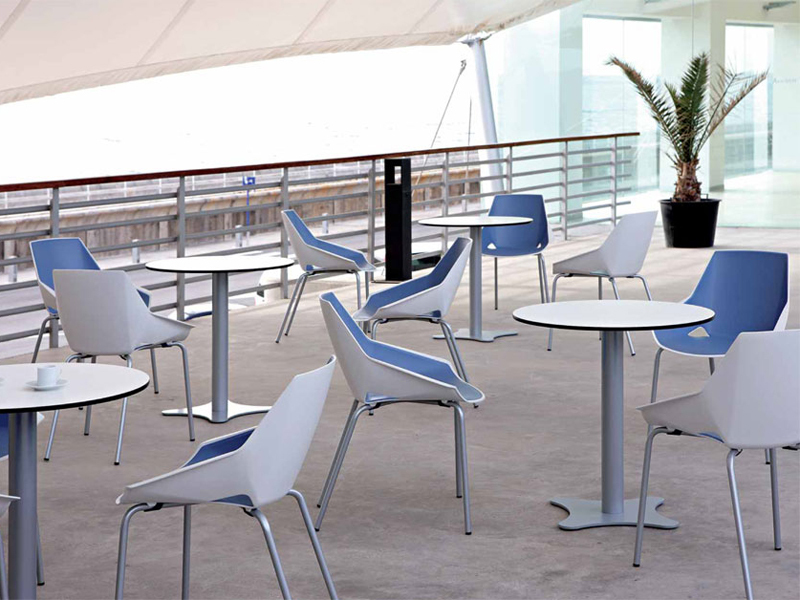 ABS seat and back rest, moulded aluminium frame in silver, white, polished or black. 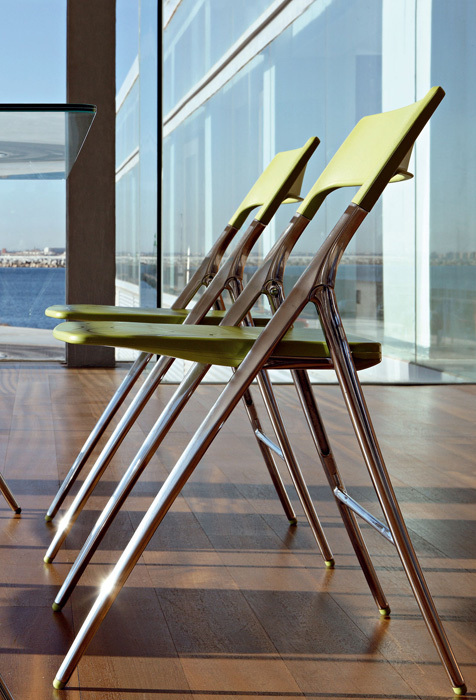 Fully folding chair comes with optional trolley which holds a maximum of 10 chairs.